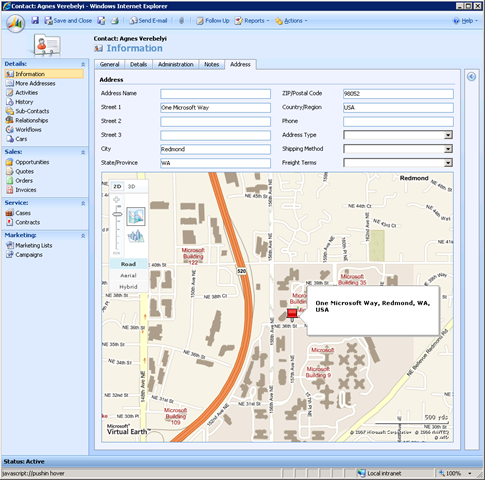 I was asked by a colleague from work to integrate Virtual Earth into CRM 4.0 for a pre-sales client Demo. The integration points are the Contact and the Service Activity entities. I’ll go through these two cases and list out the steps how I achieved them in a reasonably short period of time. 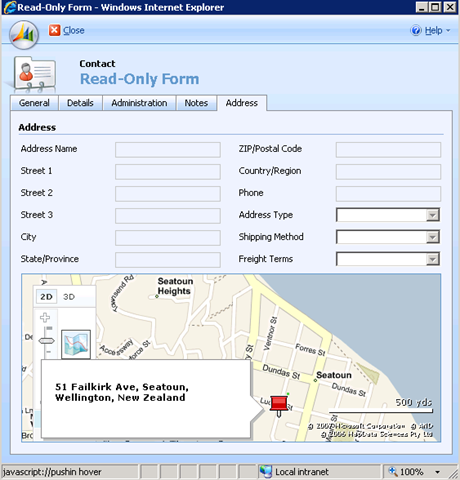 It’s required when the address tab is clicked on in the Contact main form, a virtual earth map is displayed within the same tab with a pushpin pining at the address. 1. Create a web site project to host the Virtual Earth maps. 3: <!DOCTYPE html PUBLIC "-//W3C//DTD XHTML 1.0 Transitional//EN"
I’ve hard coded this address to load in the map. Then we can dynamically read the address fields from the contact form to be loaded on the map. 3. 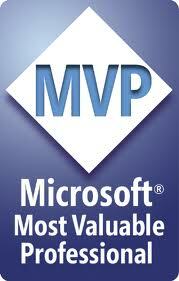 Host this Website in IIS where your CRM installation resides. Remember to change it to ASP.NET 2 runtime as it defaults to 1.1. 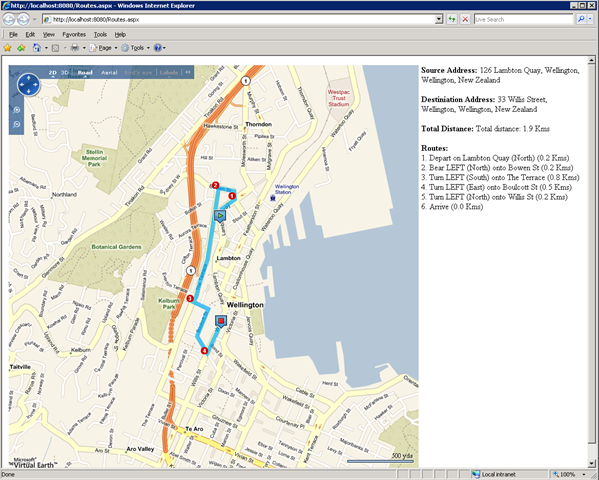 Then view the Location.aspx page in a web browser. 4. IFrame this page in Contact entity. 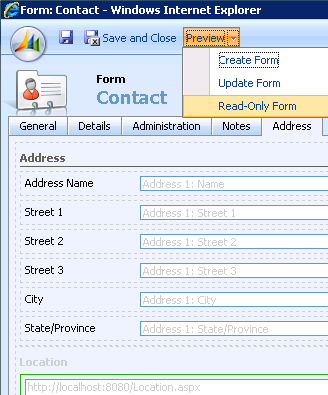 In CRM, Settings -> Customization -> Customize Entities -> Contact -> Forms and Views -> Form. 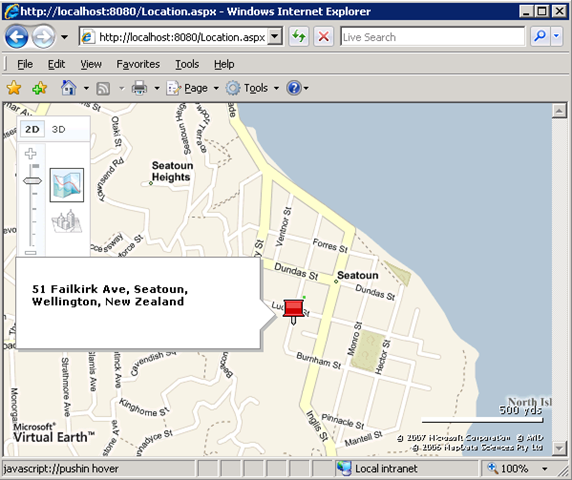 First add a Tab called Address then move the Address Section from General Tab to Address Tab. Finally, add an IFrame to this new section. 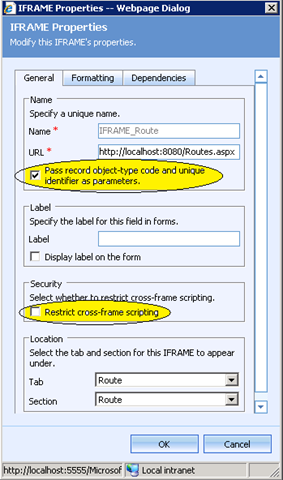 Make sure that the “Restrict cross-frame scripting” is NOT checked, as we’ll need to access the address fields from inside of our IFRAME. To test that the addition of our IFRAME worked, simply load a read-only from Preview option in Contact form. You should see a map loaded with the hard coded address. 5. Last step, is to read the address fields from the Contact form, Address Tab and pass it on to the map to load. Now, publish Contact entity and test it with an contact that has the address fields set. 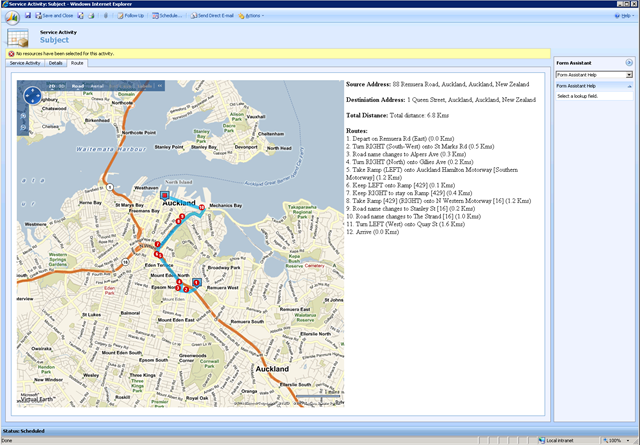 This is to work out the routes from point A to B and return the mileage of this route for reimbursement purposes. The address of the owner of the Service Activity is taken as a source address and the address of the Customer (a Contact in this case) is the destination address. Again, Virtual Earth Dev Demo site provides us with most of the source code here. 1. 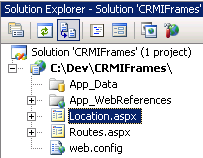 Create a new aspx page in the same web site we just created from the Contact example in IIS, call it Routes.aspx (Or any other name you might fancy). 2. Grab some code from this demo site, hard code a source and destination addresses on the page at this stage before involving CRM at all. 3. Serve this page up in IIS to test it out. 4. Add this page to Service Activity as an IFrame. It’s your choice where on the form to add it, a new section on a new tab, a new section on an existing tab, doesn’t matter. 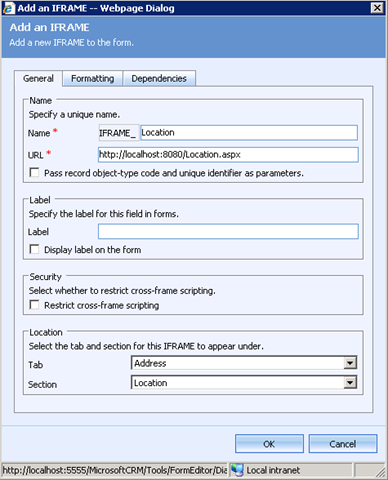 Make sure that you check the query string option and uncheck the cross-frame scripting option. 6. Use preview form to test it, publish it. If you want a copy of the source code, here is a link. Thanks to Microsoft Live SkyDrive.